Car and motorcycle oil are not interchangeable. They perform different tasks and meet different needs. In this article, we will explore the basics of motorcycle oil and why it is necessary. Oil manufacturers are constantly experimenting new ways to improve their formulas and give your engine a better life. They create a specific type of oil for each vehicle. Therefore you shouldn’t be using your car oil on your bike. 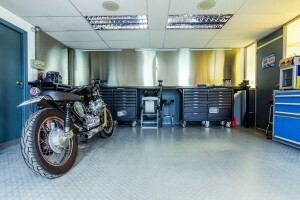 Take some time to learn about the particular job motorcycle oil does and understand the importance of sticking to it when it comes to your bike’s lubrication needs. The most straightforward answer to your need for new motorcycle oil would be: because oil gets dirty. However, there are other reasons why you need to change your oil. For starters, the oil will break down over time due to the heat and other factors. It’s possible for the oil to evaporate, or reach an oil flashpoint if subjected to extreme heat. Of course, you need to consider oil contamination. Debris can get into the oil through the air filter, metal shavings can result from metal to metal contact in the engine, and the combustion process can raise the oil’s acidity level and promote corrosion. Lastly, you need to consider the additives. Additives get worn down as the miles stack up. While the base oil can last for a long time, the critical additives that keep your bike protected need to be changed and reset ever so often. One of the many reasons why street oil and motorcycle oil are not interchangeable is because of the different tasks oil performs in each vehicle. Motorcycle oil does more than just lubricate and regulate the engine’s temperature. Here are some of the many ways motorcycle oil is used differently than car oil. Multiple lubrication: Unlike cars that have a specific lubricant for every area, motorcycles are mainly lubricated by the same oil. Motorcycle oil is used in the engine, transmission, and clutch. The oil formulas need to be strong enough to satisfy each part’s needs. Engine cooling: Some motorcycles have a water cooling system similar to cars, but others cool down differently. For many bikes, oil acts as a coolant, and when combined with outside air they regulate the engine’s temperature. Operational speed: Unless it’s a race, there’s no way that you drive your car and your motorcycle at the same speed. The higher speeds bikes operate cause extra stress on the engine and its components. These elevated speed levels can reduce the oil’s carrying ability, increase foaming, and promote oxidation. Periods of inactivity: Most bikers don’t use their motorcycles on a daily basis. In fact, bikes can go through long periods of inactivity. These periods promote the development of rust and acid corrosion. Motorcycle oil needs to have the right additive mix to protect your bike if you’re going to be storing it for an extended period. So, Should You Go for Conventional or Synthetic Oil Change in Apopka? The answer is simple: go for the synthetic oil change. If you want the highest quality oil option for your bike, you will only find it in synthetic oil. Synthetics have a higher flash point over conventional oils, which means they can withstand more heat without breaking down. Another excellent quality of synthetic oil is that it lubricates for a longer period. You can use the same oil for more time without worrying about it losing its properties. The additive mix that enriches synthetic oils helps reduce friction and sludge creation. If your engine is already dirty, a synthetic oil change can help clean it up. Start by trying AMSOIL’s 15W-60 Synthetic V-Twin Motorcycle Oil and notice the positive difference. You can get the supplies for you synthetic oil change at AMSOIL’s online store or by calling Ken Reaser Enterprises at (321) 230-6958. Motorcycle oil contains plenty of additives dedicated to dealing with debris and other contaminants. The additives suspend the contaminants and prevent them from reaching the engine components. Still, they need to be removed from the oil to stop sludge buildup, and that is what the filtration system is for. The oil filter catches most of the contaminants and holds them in place, preventing them from returning to the engine. It makes no sense to go for a synthetic oil change and chose not to change the filter. A dirty and overfilled oil filter can’t do its job. Therefore the oil will soon turn into sludge and affect your bike’s performance. There are many different oil filter grades, so you should always consult your owner’s manual. There are several factors you should take into account when changing your oil such as how often you use your bike and how you use it. However, it’s better to trust your owner’s manual. Manufacturers take great care in specifying which type of oil filter and lubrication your motorcycle needs to stay lubricated and protected. They’ve already considered the possible factors that might affect your oil and found the ideal time for you to change your oil. Well, as long as you use high-quality oil and filters, following the manufacturer’s recommendations is the way to go. You can find everything to meet your motorcycle’s lubrication needs from AMSOIL Synthetic Oil. They have an excellent line dedicates exclusively to meet your bike’s needs. Next time your bike is due for a synthetic oil change, call Ken Reaser Enterprises at (321) 230-6958 to place your order. Not sure what to get for your specific type of bike? Ken Reaser can help you choose the best motorcycle oil for optimal lubrication and performance.